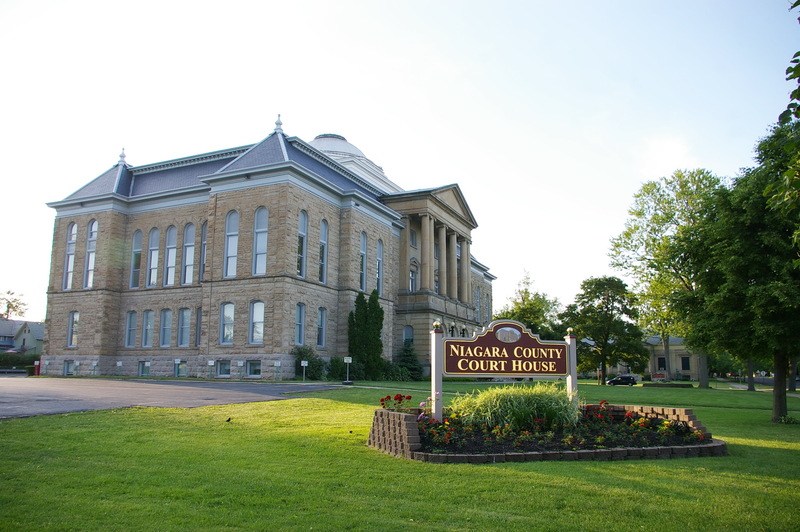 Niagara County is named for the Iroquoian word meaning “a neck” between two bodies of water or “thunder of waters”, or “bisected bottom land”. 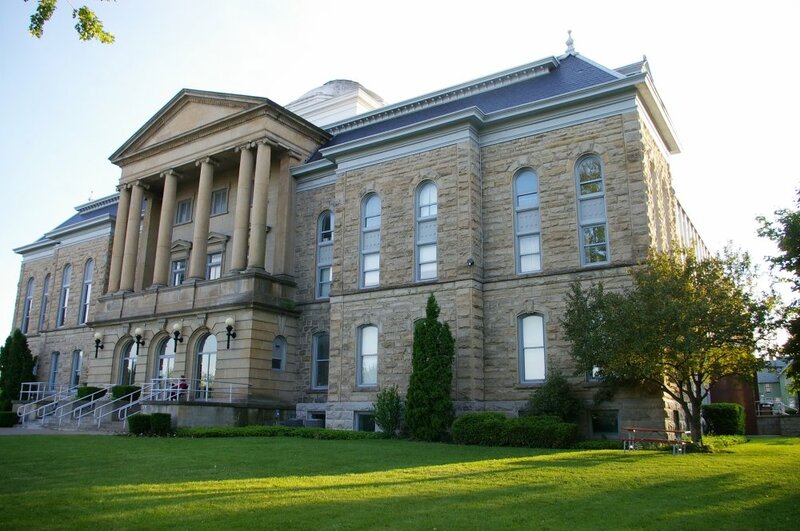 Description: The building faces east and is a two story brown colored course stone structure. The east front has a large stone portico with three arched entrances on the first story. 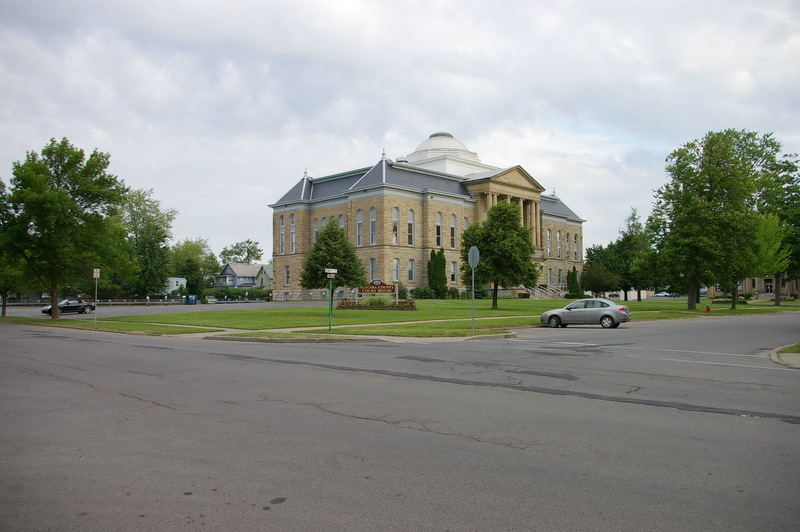 Six columns rise from the second story to the top of the second story with a pediment at the roof line. The roof is mansard with a large round white dome on the center of the roof. 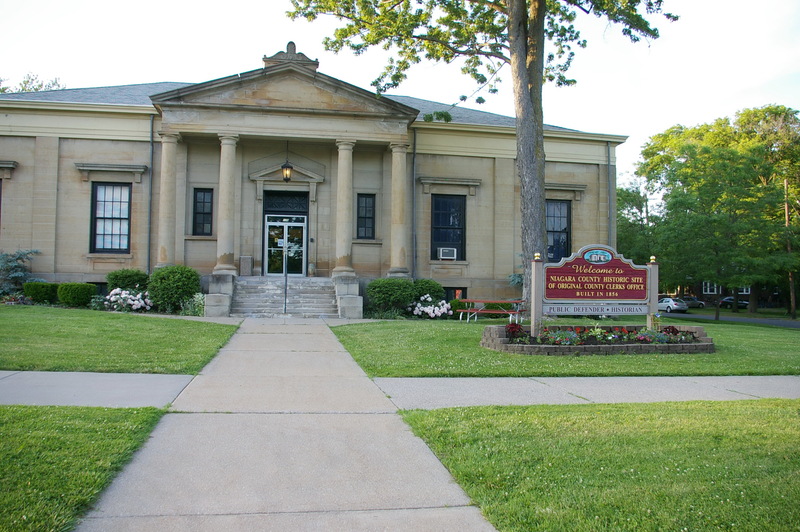 An addition was constructed from 1914 to 1917. 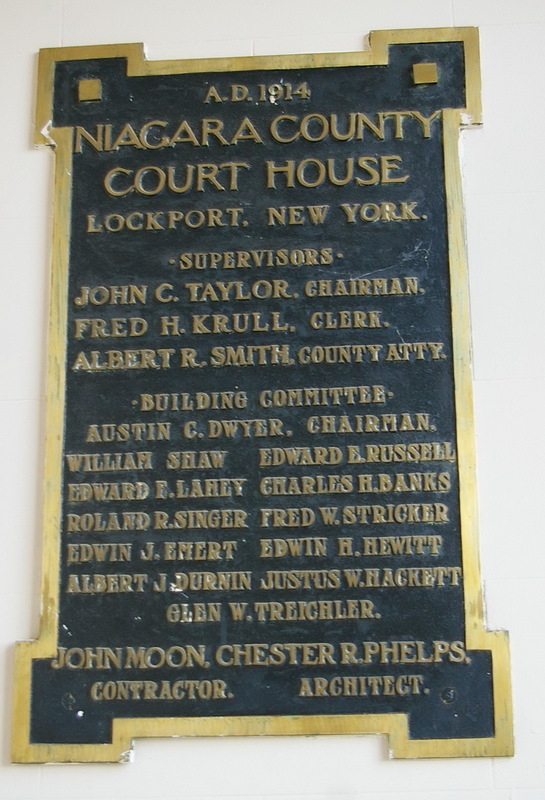 The architect was Chester R Phelps of Niagara Falls and the contractor was Johnmoon. An addition was constructed on the north side from 1957 to 1958. 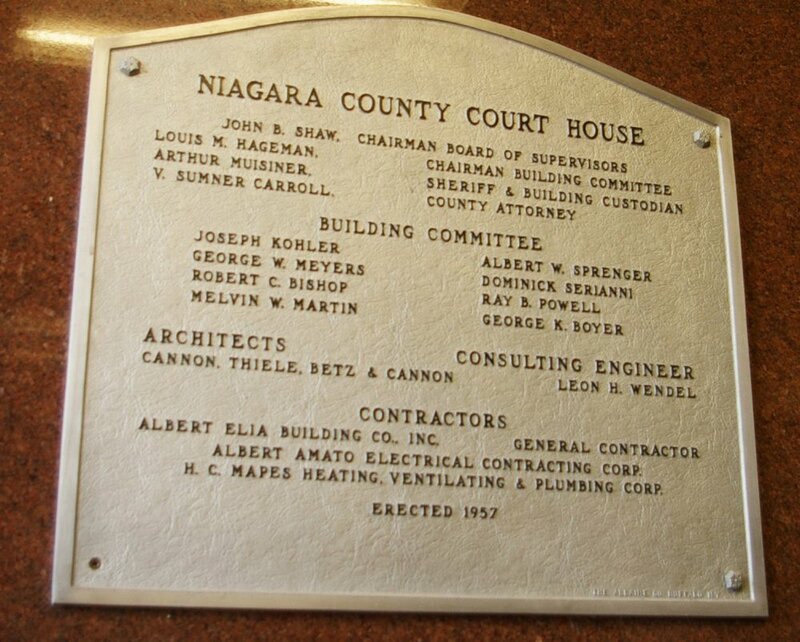 The architect was Cannon, Thiele, Betz & Cannon and the contractor was Albert Elia Building Company Inc. 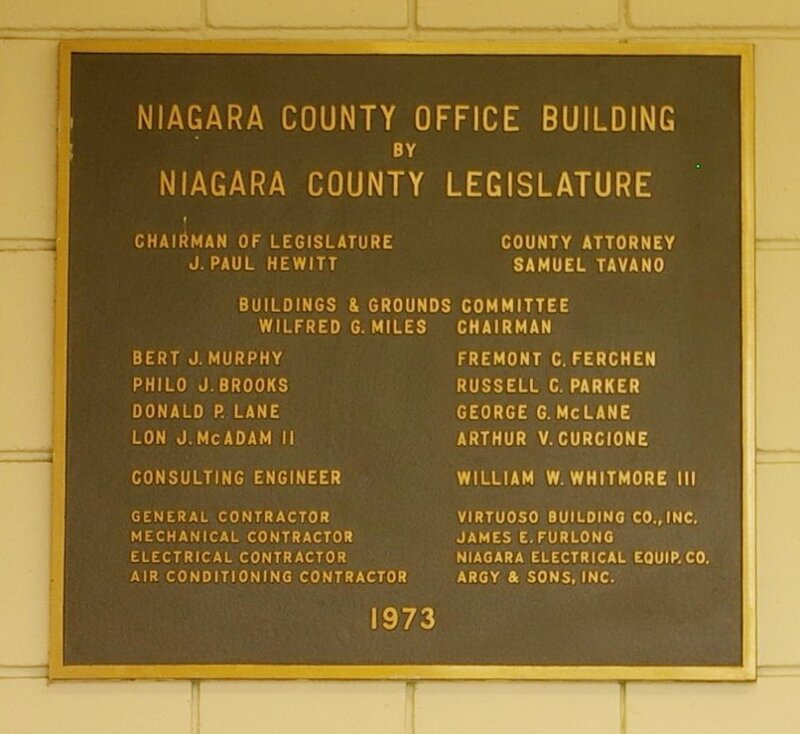 Note: The cost of construction was $68,000. 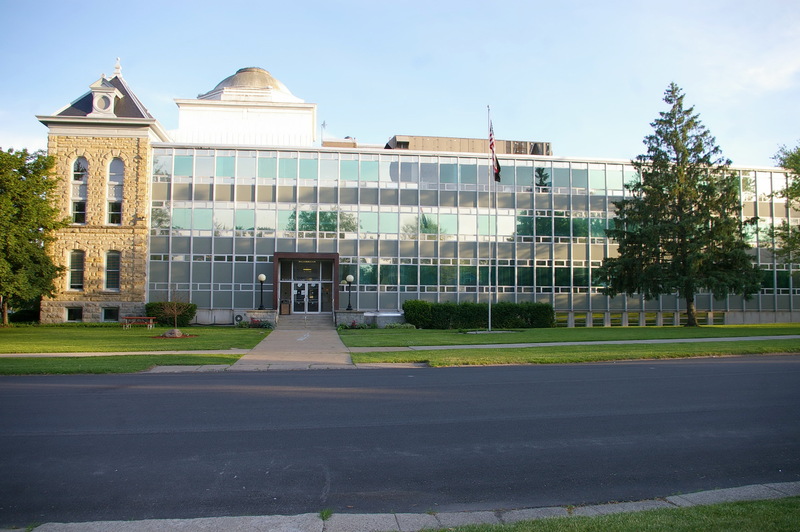 The cost of construction of the wing in 1957 was $699,447. 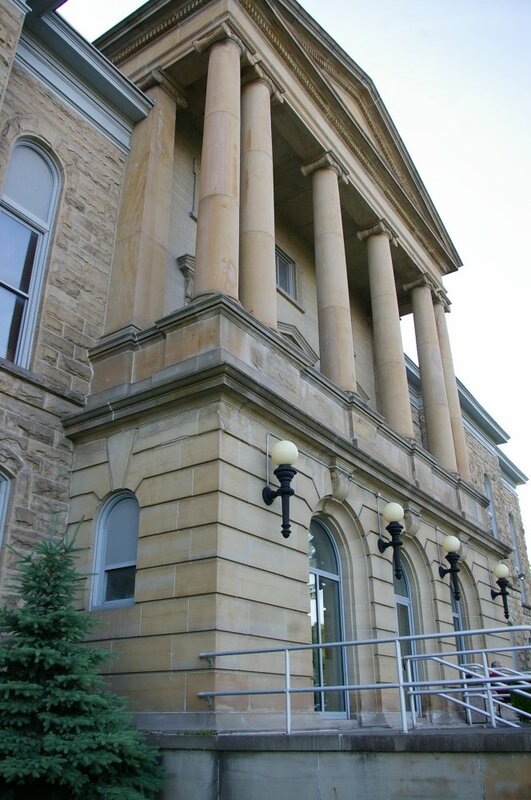 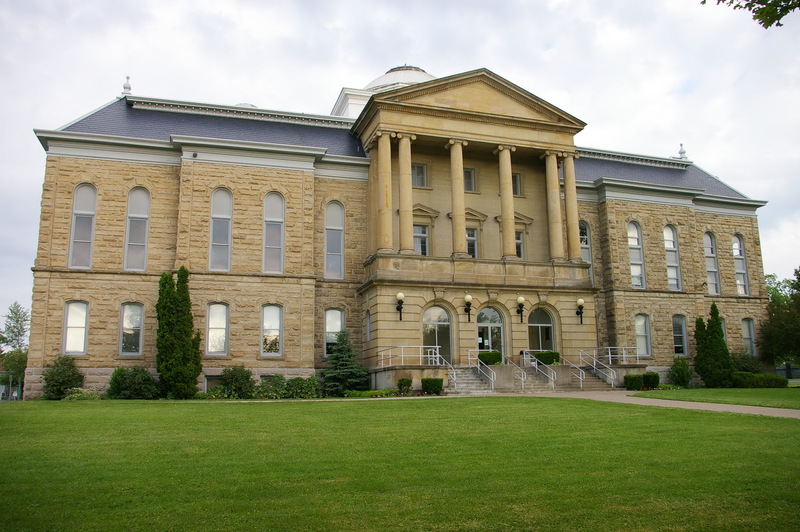 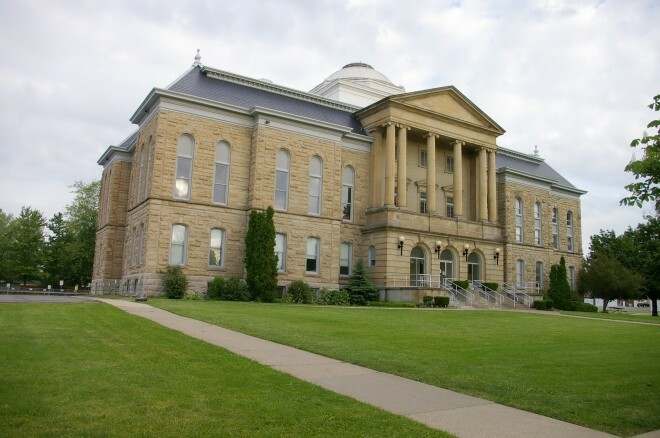 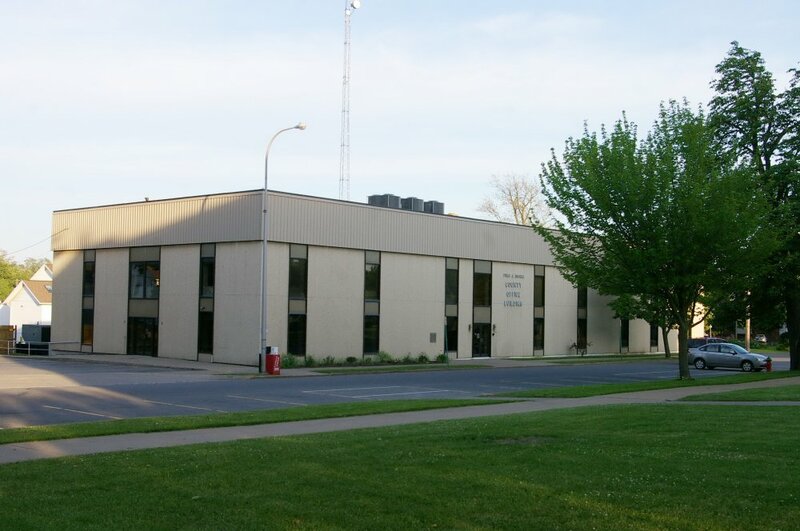 Description: The building faces south and is a one story gray colored limestone structure. 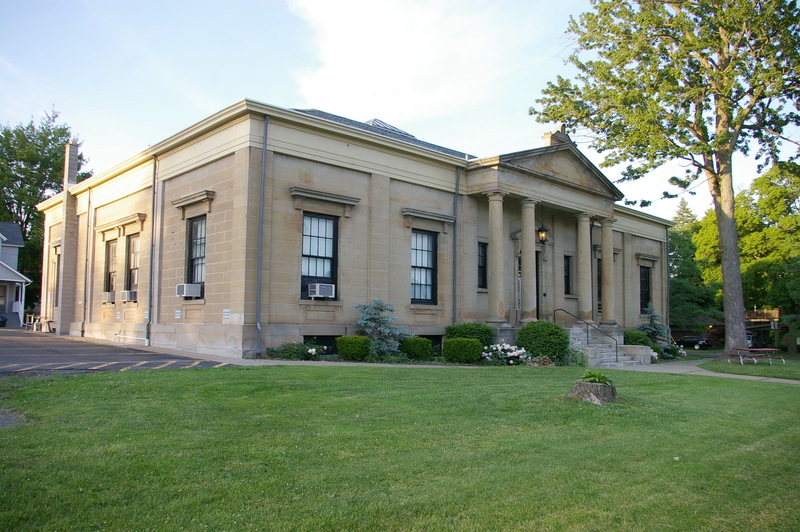 The building was enlarged in 1917. 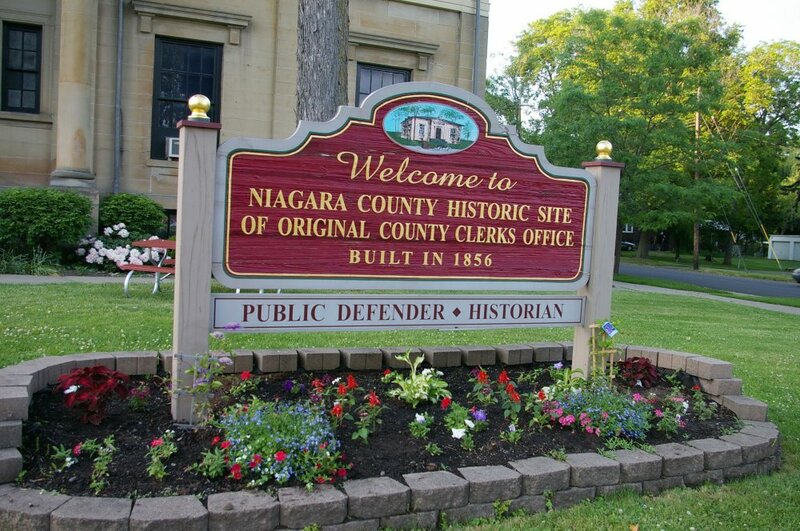 The architect was Chester R Phelps of Niagara Falls. 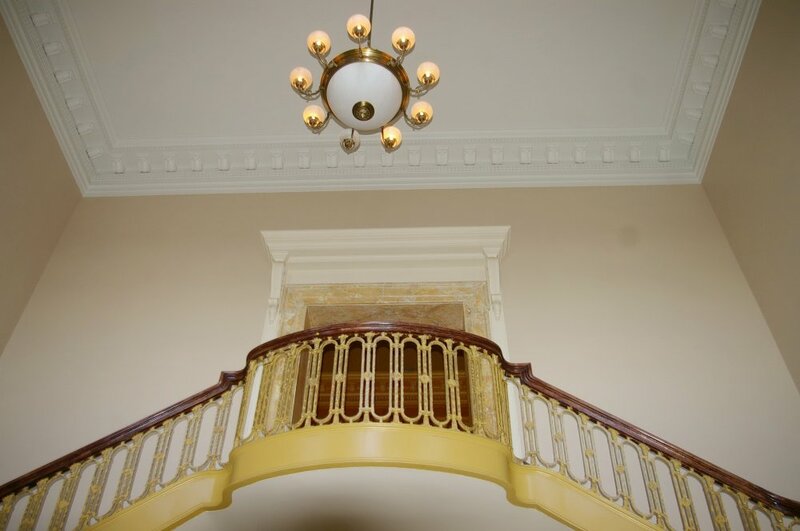 Contractor: Vintuoso Building Company Inc. 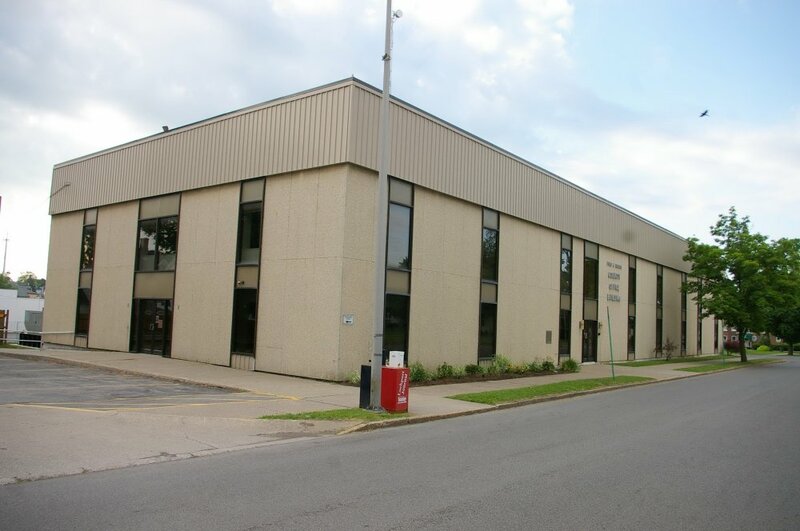 Description: The building faces south and is a two story buff colored brick and concrete structure. 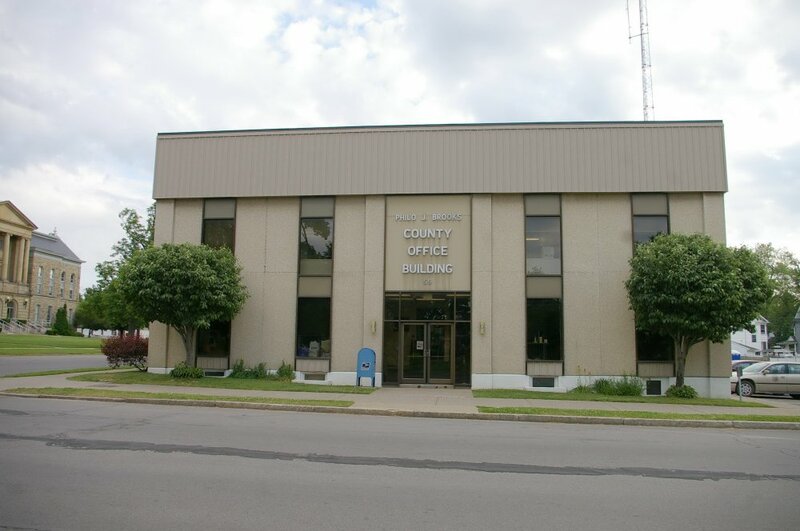 The rectangular building is named as the the Niagara County Office Building.